Dhaka-born Saikat Mojumder has been a photographer for more than ten years. 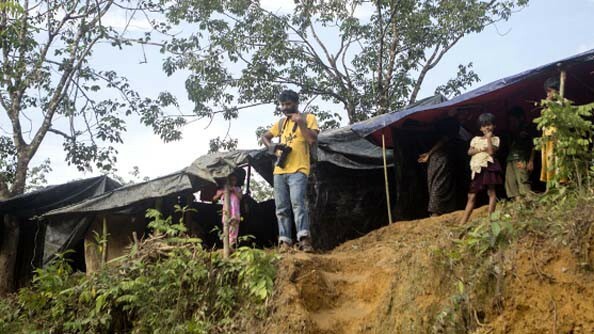 He was one of the first photographers to document the Rohingya emergency after the massive arrival of refugees across the Myanmar border in August 2017, and has since returned on several occasions to cover the crisis for the World Food Programme (WFP). Saikat and I have worked very closely together for the past three months. We spend most days in the camps — walking the vast stretch of land which has now become home to hundreds of thousands of families, and documenting how WFP is making a difference in their lives. Sometimes no words are needed for Saikat’s photographs — the hollowed eyes of a mother who has lost her husband and home speak volumes. On one of the journeys back from Kutupalong Camp — our usual daily commute taking us past rows after rows of shelters — we chatted about his work and why it matters so much. Why do you like being a photographer? As a photographer, I can experience a lot of things. I can move around freely and document people’s lives. When people ask me why taking a picture matters, I remind them that capturing what I see and being able to tell a story can make a huge difference. 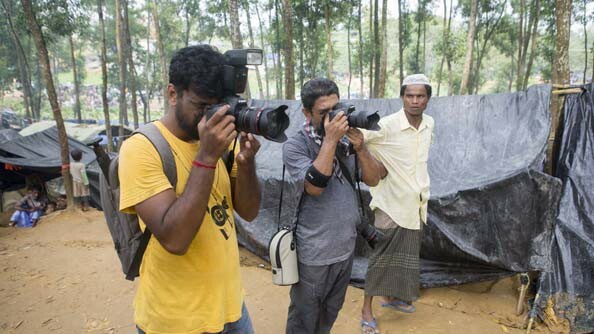 What moved you to come to Cox’s Bazar and to document the Rohingya crisis through your pictures? 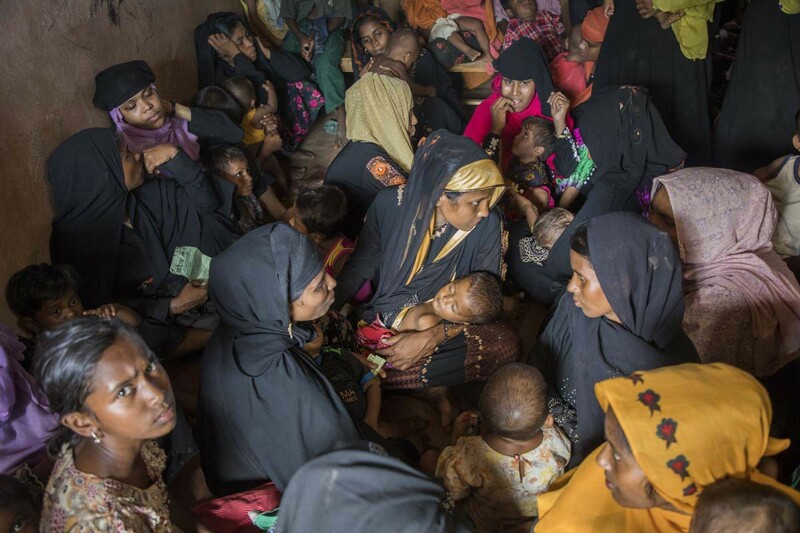 When the mass exodus from Myanmar first started in August 2017, I was pondering whether I should go or not. Then one day, as I was watching the 8 o’clock evening news at home in Dhaka, I decided to leave the next day. I was chatting to my dad that night and he said to me: “You know, what is happening to these people who are coming now is the same as in 1971 when our people were fleeing to India because of the Liberation war.” He encouraged me to go as this reminded him what he himself had faced back then. He said Bangladeshis can identify with the pain the refugees are going through and we need to support them. And so I left. I came here on my own at first, without an assignment. This horror was unfolding in my country and I just needed to be where it was happening. What image has made the biggest impact on you? 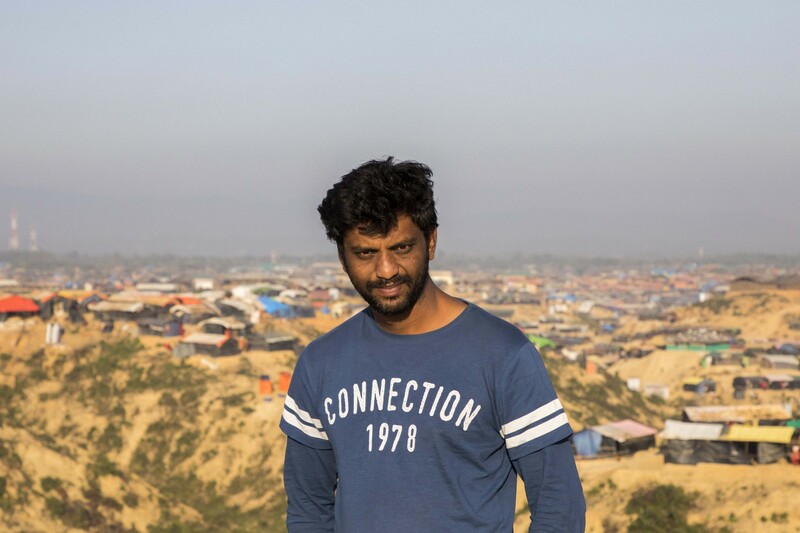 When I first arrived in Shah Porir Dwip, right on the border with Myanmar, the tide was low and I saw thousands and thousands of people coming in. There were so many children, people were carrying their belongings and their family members. Bangladeshi people were waiting for them, handing out food and water. Hundreds of children were crying at the same time — this was the only sound I could hear. I saw a mother with her child. He was crying and she seemed to lose her patience and started hitting him. She was also crying — she looked desperate and helpless. The situation was really emotional for me. I have a son, Shreyan, who is 2 years old, and as I was watching these scenes unfold before my eyes, I couldn’t stop thinking about him. It was only after an hour that I could bring myself to take pictures. As the days rolled into weeks, I returned every day to the border area and kept taking photos. 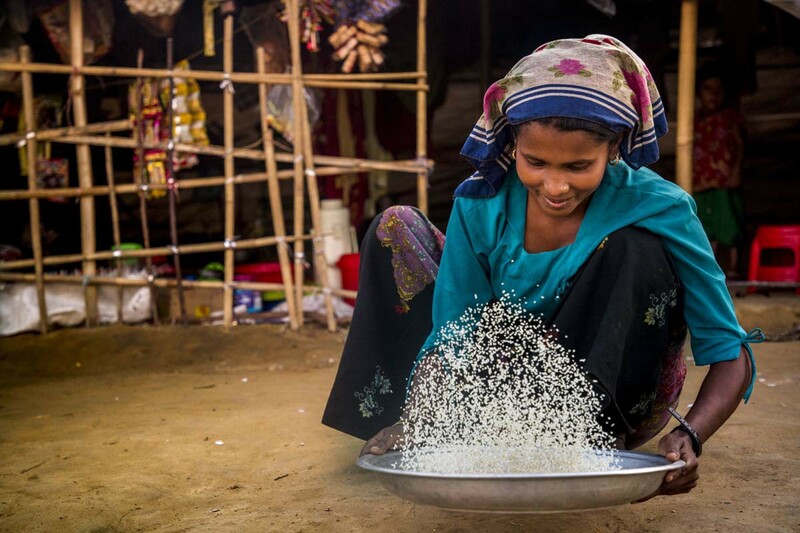 How do you think your photos have made a difference to the work of WFP? At the beginning I was the only photographer on the ground, so it was through my images that WFP could make this story known globally. It is difficult to believe the scale of this horror if you do not see it. Photography is very personal, and can be open to interpretation, but it is a global language and I feel like I can play a part in making people aware of what is happening. I have returned now many times to the camps and I often wonder how some of the people I have met and photographed are doing. Are the children still hungry? 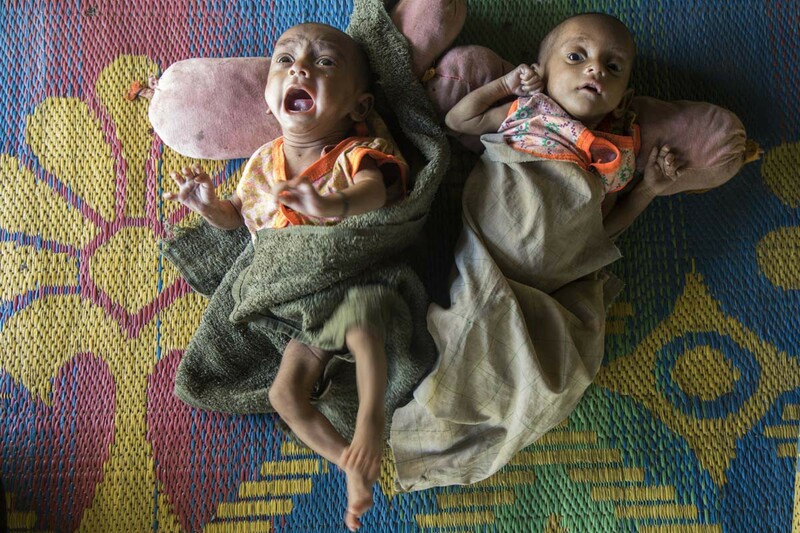 Are their mothers able to get food? Sometimes I feel frustrated and helpless — what if my photos are not enough? 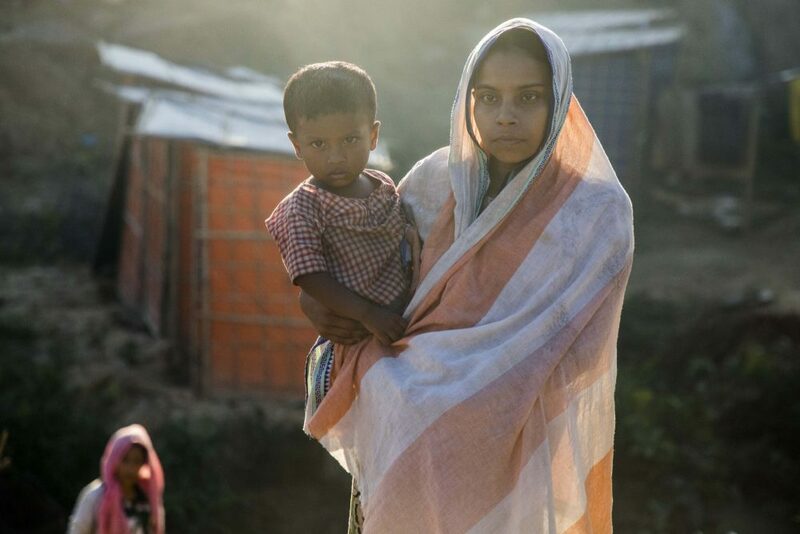 They may not be enough, but they definitely play a big part in ensuring people all over the world know — in the moment, in the time of a click — about the plight of the Rohingya, know that they need food, medicines and international support to survive. I don’t want the world to forget these people and this is what I try to do with my work. You can give life-saving food to hungry children and families today.